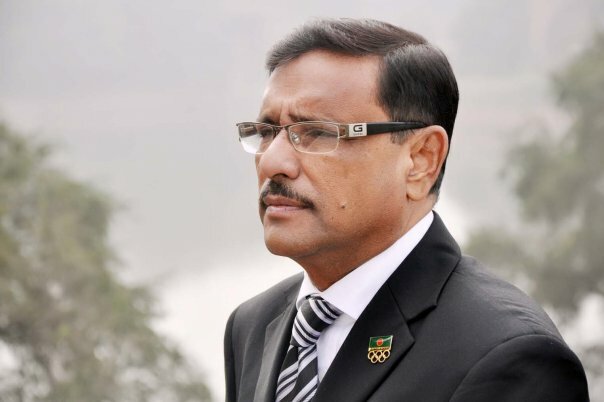 Ailing Awami League (AL) General Secretary and Road Transport and Bridges Minister Obaidul Quader, who is undergoing treatment at a Singaporean hospital, now can walk slowly as his health condition improved further. “He (Quader) now can walk slowly as his health condition improved further,” Bangabandhu Sheikh Mujib Medical University (BSMMU) Director Dr Abu Naser Rizvi, who is staying beside the ailing politician, said on Monday morning. The hospital authorities also decided to shift Quader from the Intensive Care Unit (ICU) to the cabin tomorrow, a press release of Road Transport and Bridges ministry quoted Dr. Rizvi as saying. He said the AL leader exchanged greetings with his family members, lawmaker Ekramul Karim Chowdhury and party leaders who are beside him this morning. Earlier, Dr Sivathasan Cumaraswamy, Cardiothoracic surgeon at Mount Elizabeth Hospital apprised Quader’s family members of his latest physical progress. Quader’s wife Isratunnesa Quader, his younger brother and Basurhat Pourashava Mayor Abdul Quader Mirza, nephew Lieutenant Colonel Fakhruddin Ahmad, Deputy Publicity Secretary of AL Aminul Isla, Mayor of Gazipur City Corporation Jahangir Alam and leaders of Singapore based Bangladesh Community were present at that time.